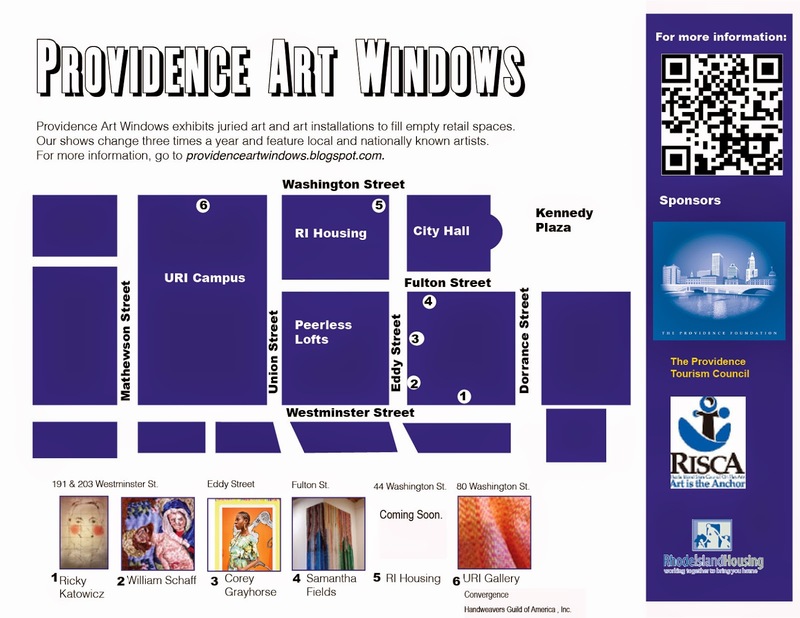 Providence Art Windows and URI Feinstein Providence Campus Arts and Culture Program are participating in several summer conferences related to fiber. We welcome the Handweaver's Guild of America participants in Convergence, with embroidery and fiber-related installations by by Samantha Fields, Corey Grayhorse, Ricki Katowicz and William Schaff. In the URI Feinstein Campus Arts and Culture Library is Weaving Providence Together, from July 8-August 8, 2014. There will be a Gallery Night Reception July 17, 5-9pm, with a weaving demonstration of weaving, spinning, and fiber preparation. And a lovely review by Greg Cook in the Phoenix.